Are you looking to do co-marketing with AWS? APN Marketing Central provides marketing tools and resources that enable you to generate demand for your solutions on AWS. As a benefit for Standard tier and above APN Partners, access self-service marketing campaigns that allow you to quickly co-brand and launch solution-based campaigns or engage participating agencies for select marketing services. 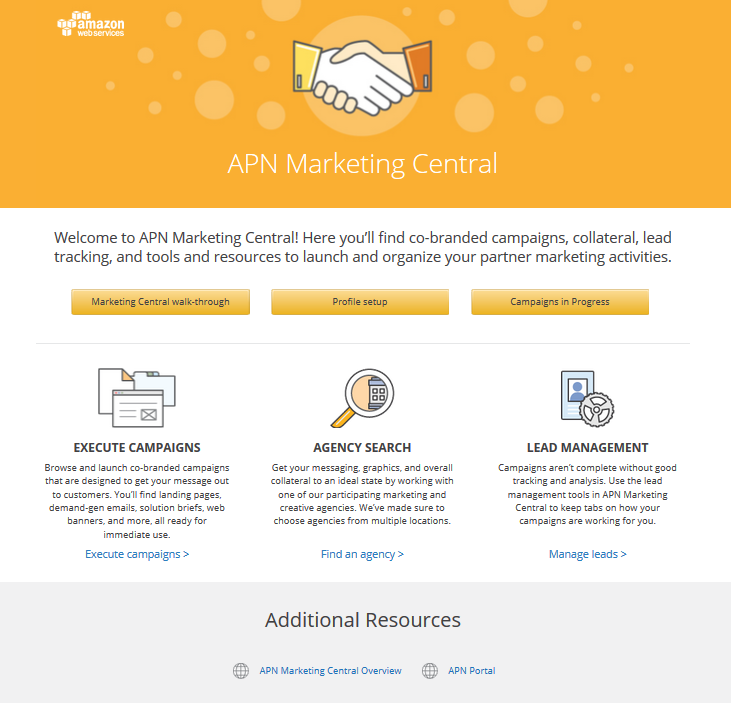 This week, we published “How to Leverage APN Marketing Central”, a new guide that walks you through how you can get started taking advantage of APN Marketing Central. Download the PDF on the APN Portal.